Treat yourself or a friend to the River's flow. Pricing is per room, not per person. 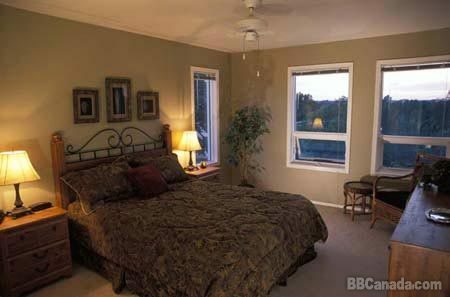 Twin room (2 beds) $80 Cdn., Queen with majestic city skyline/river/mountain view $80, Queen with same wonderful view and ensuite bath, $90. Add 5% GST. Large deck/veranda/garden. BBQ, outdoor hot tub. 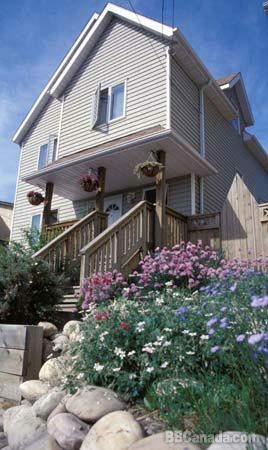 Enjoy a bonfire on the terrace overlooking the pretty Elbow River. 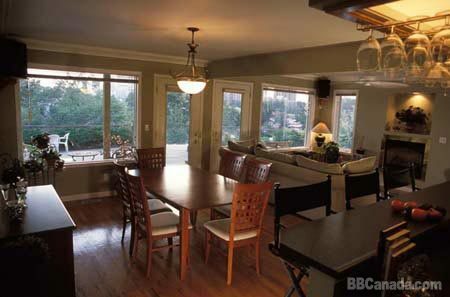 Exciting proximity to fireworks displays and major events! One block from Stampede Park (yet quietly removed from busy traffic). Conveniently walk: 5 min. to Stampede Exhibition Park/Saddledome & Calgary Flames Hockey Games, Fort Calgary, Historical Inglewood shopping district, 10 min. to Zoo and C-Train, 15 min. to Downtown shopping/dining/attractions,Telus Convention Centre. On the City Park's pathway networking with 550 kms of interesting paved trails. Stroll, cycle (bicycles for borrow), rollerblade-skate and explore! City Transit bus stops one half block from B&B, OR, Downtown-Direct Shuttle Express just one block away. Comfortable, sunny rooms, top quality beds, within an atmosphere of relaxing contemporary elegance. Colour/cable TV in each. Telephones. 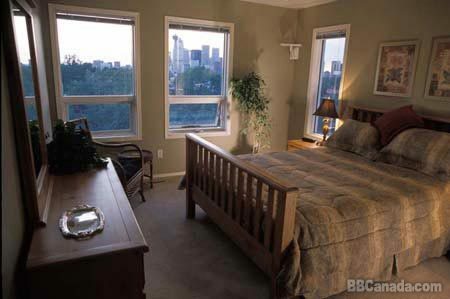 From your windows, observe ducks and Canadian geese happily gliding along the Elbow river's peaceful waters. 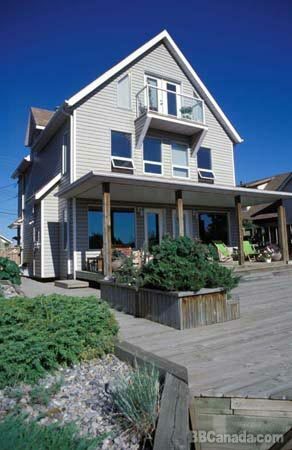 Full access to inviting: Fully-equipped kitchen, dining room, living room /w gas fireplace- all with beautiful view. Plus, sunny loft area with complimentary movies/TV/machine. Free highspeed internet access, washer/dryer for small fee. Free parking. Cancellation : Minimum 48 hours - preferably at your earliest convenience please.